Manchester's High Voltage has now firmly established itself as one of the northwest's leading lights as far as discovering, promoting and unleashing new music is concerned. Initially starting out as a fanzine, their roster has gone from strength to strength with their club night currently ranked as one of the best in the country and their label seen as an A&R directory for the best undiscovered talent outside the M25. 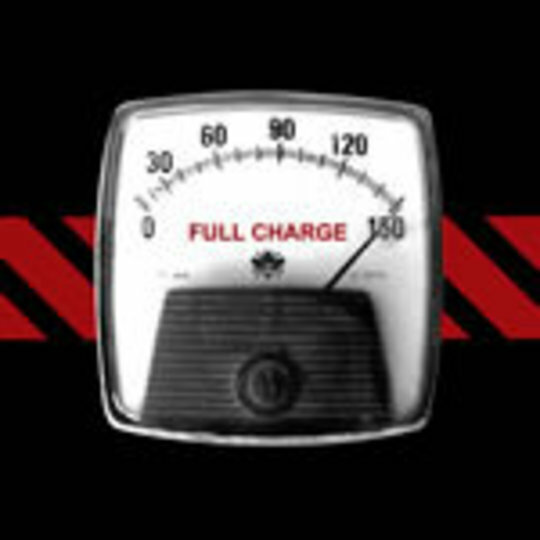 Full Charge is the label's second compilation, following on from last year's Power Overload - while it may fall slightly short of its older sibling as far as consistency goes, there is no doubting that there is also a high degree of quality amongst these 19 tracks. It's almost certain that some of these artists will become household names over the coming twelve months. None more likely than openers The KBC, whose 'Pride Before The Fall' has already received a glowing review on these very pages; it is as fine a place as any to kick off the best of the rest, so to speak. Mancunian trio The Answering Machine, with their C86-meets-Pavement splutter, must also be on many people's 'about to happen' lists for 2007; Lucky Star, with their buoyant post-punk anthem 'Eyes To The Left', could also be a name to look out for. Elsewhere, Modernaire's low rent Lily Allen on Boddies, chips and gravy coupled with Delta Fiasco's theatrical electronica (think Brian Molko fronting Kraftwerk) provide a interesting departure from the archetypical Mancunian fare, as does LoneLady's evocative 'The Forest', which is part Emmy The Great in theory and emotion and slightly Kate Nash in delivery. Sure, there are one or two songs on here that may not be to everyone's liking, but that's what the skip button's for, right? Fortunately, I very much doubt you'll be needing that too often on this charmingly insightful collection.